For more than two centuries, the proven stud lands of France have earned international status and a well deserved reputation for excellence. 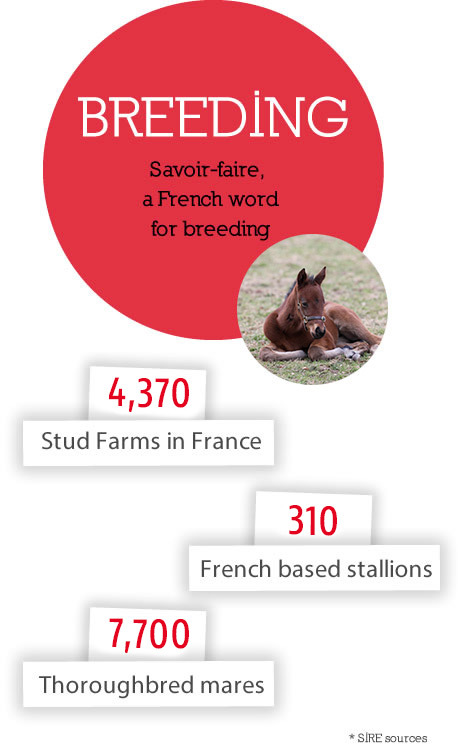 Key breeders from Europe, USA, the Middle East and Asia have opted for the rich and verdant pastures of France. This tradition continues from strength to strength under the auspices of committed breeding industry members, an ideal climate and attractive land prices. Not to mention the benefits of an excellent position within the unique European infrastructure.